Hello everyone! 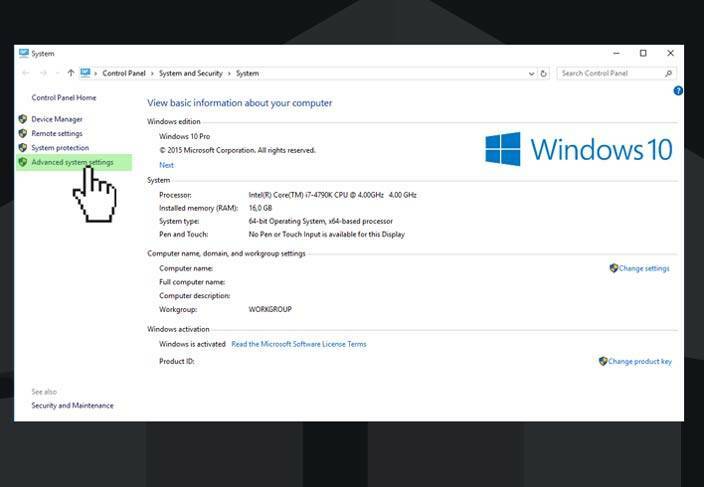 Here is one more tutorial on how to improve your gaming performance on Windows 10 – it’s easy and absolutely free. Let’s get started by adjust of your Power settings. 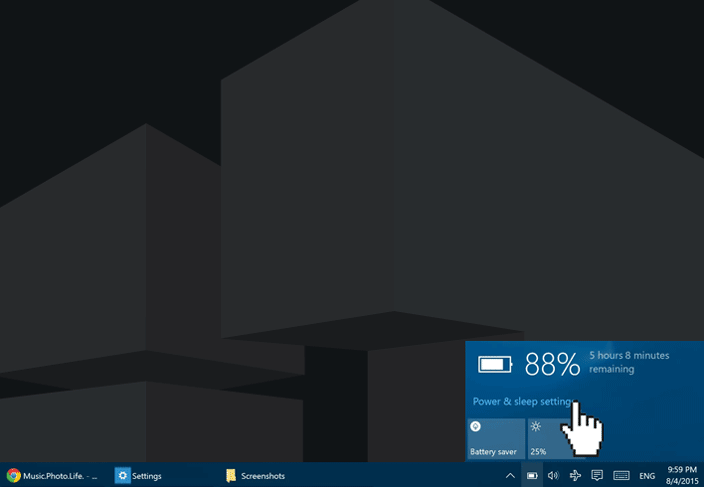 Move your cursor down to the Windows 10 Task bar, take a left click on Battery icon. 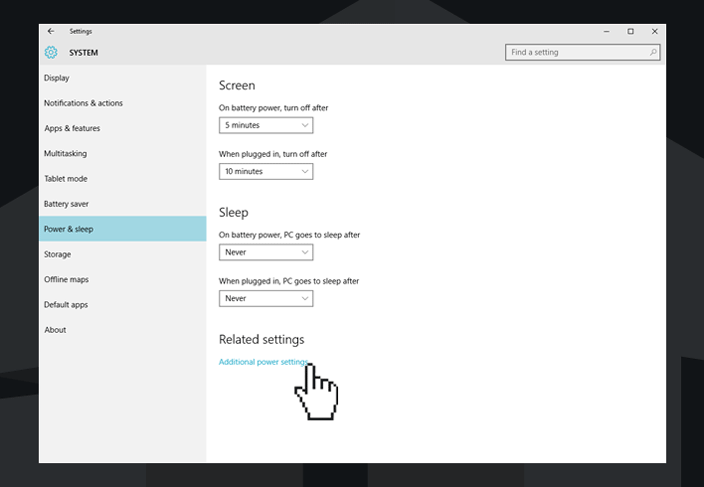 Click Power & sleep settings. 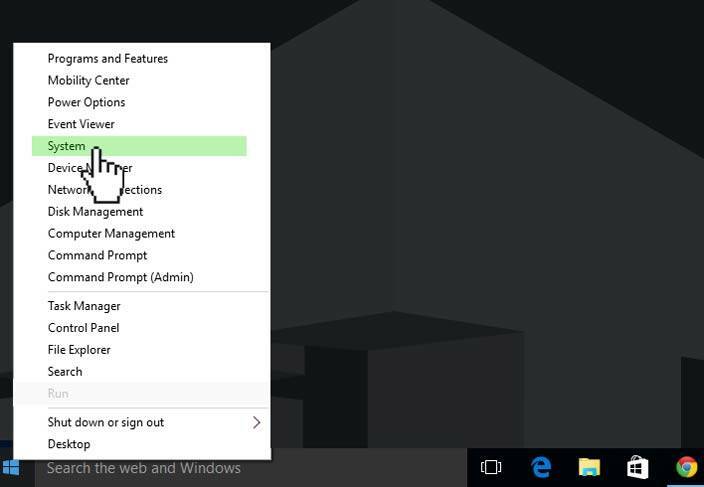 Now open up the Settings, then click Additional power settings (settings that give you a power options). Click on the Show additional plans down arrow. 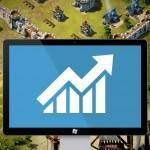 That will allow you to see your High performance settings. Click on it. 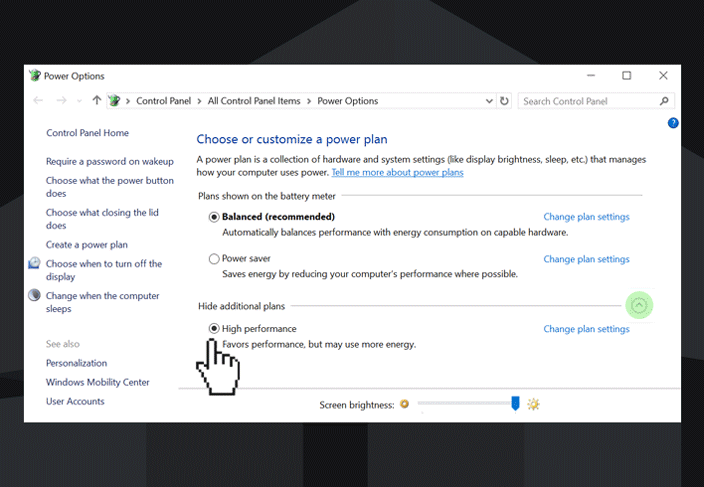 Once you do that you are now set for high performance on your power settings an you should see a significant improvement on your performance during work or gaming. 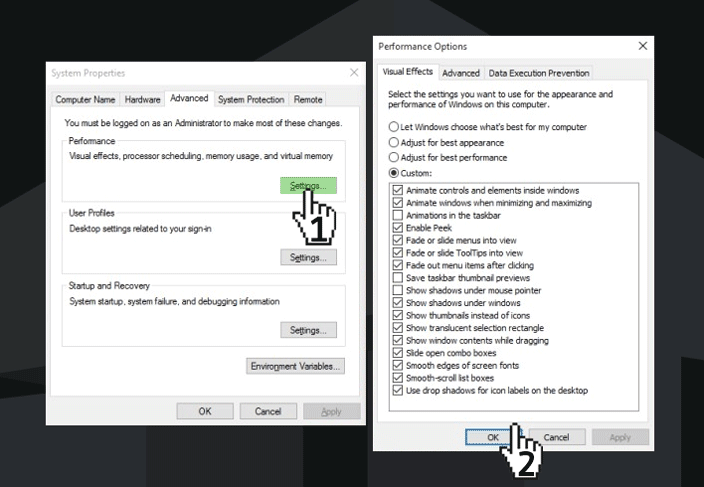 To increase the performance in Windows 10 there is a Performance options. You need to use them. Go down and take a right click on Start menu icon, that will open hidden menu. Then click on System. At System information window click on Advanced system settings. That will open up a System properties windows. Click the Settings button in Performance. In next Performance option go to Visual Effects tab. You can see that Let Windows choose what’s better for my computer option is enabled by default. You need to check mark on Adjust for better performance here or customize it manually. Remember that the best performance makes all of the features to run. Click OK again and close it. Let’s go ahead and move to our final step – Adjust system configuration. 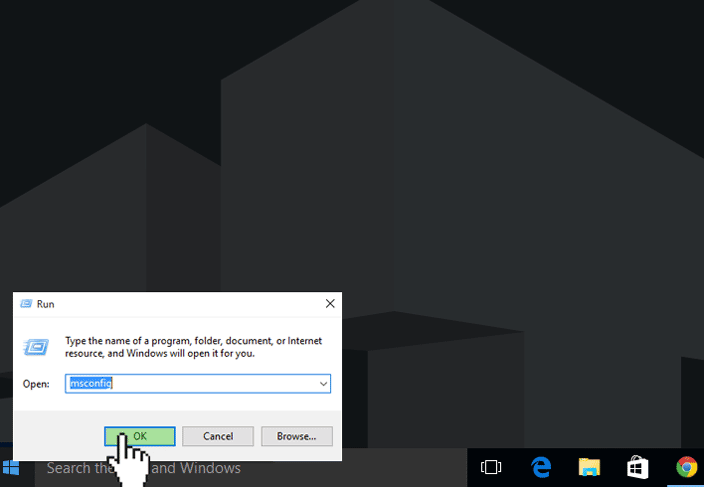 Click on Start menu icon, after make a right click on it to open hidden menu. Go up and click on Run. That opens up Run command form and we can go ahead and type msconfig. When you’ve done so go down and click OK button. 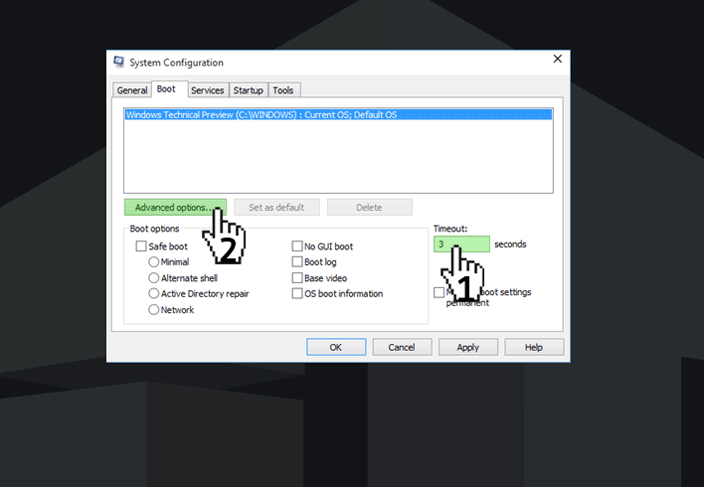 Now you opened System configuration window. Click on the Boot tab and you will see the list of OS you are booting. The next step is to change the boot time from default 30 seconds. We recommend you to set time between 3-5 seconds, that will helps your OS to boot quicker. Then click on Advanced options. Make sure here that you have a maximum number of processors being used (check in Number of processors). Then make sure that you have maximum amount of memory being used (check in Maximum memory). Once you’ve done that go ahead and make sure that you don’t have any apps that don’t need to be started and using your resources. 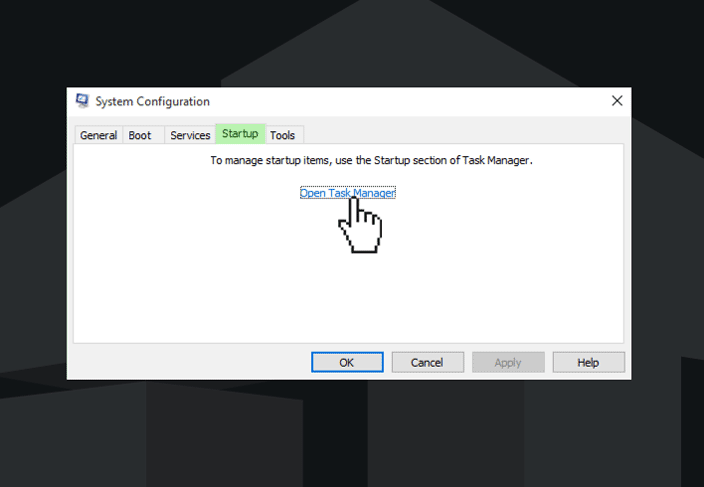 Go to System configuration window and click Startup tab. 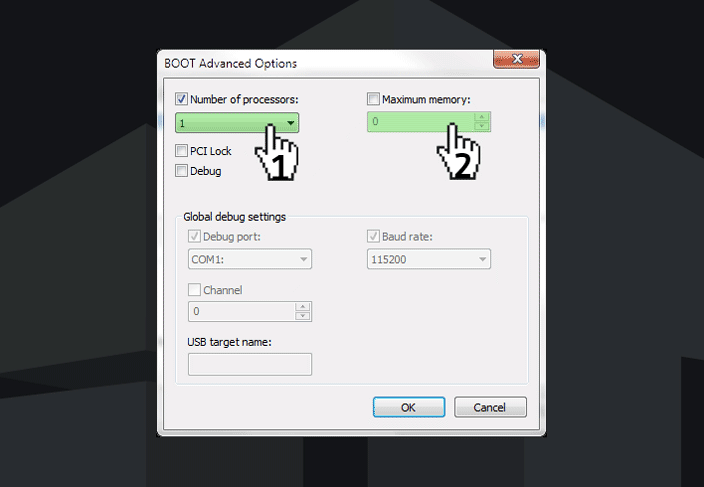 You can control, stop or enable the apps that start up at your booting here. Click Open task manager. 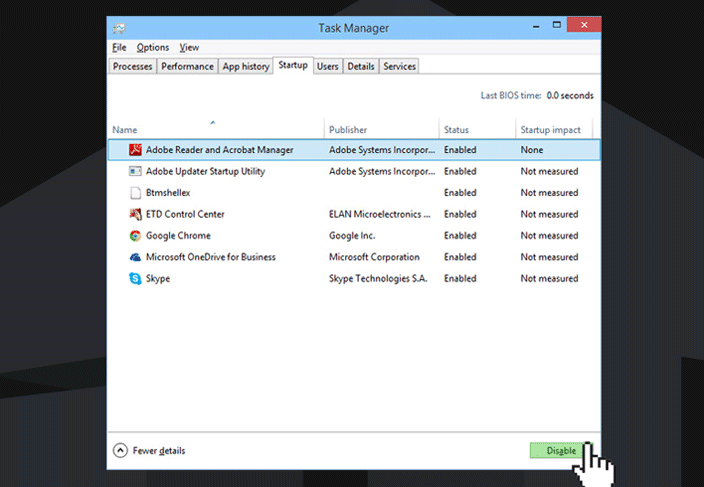 In the Task manager list you will see all of your apps that are running in the start up. You can enable/disable your apps to start at the booting by selecting them and clicking Enable/Disable button and that won’t start up. Once you’ve done this, close the window and go back to System Configuration Startup tab. Click OK.
After that you need to restart your computer to apply this changes. You can do that by clicking Restart at notification window that appeared. That’s all! Try it and find out what effect these changes will have on your machine.